The law of sines, also called sine rule or sine formula, lets you find missing measures in a triangle when you know the measures of two angles and a side, or two sides and a nonincluded angle. Notice that side a is opposite to angle A. 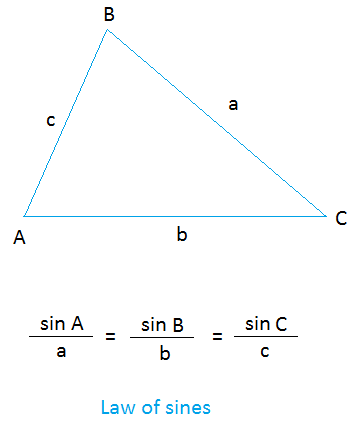 Also, side b is opposite to angle B. Now, how do we know the formula will work? 1. Draw a scalene triangle on a sheet of paper and label the triangle as the one I did above. 2. Use a ruler to measure sides a, b, and c.
3. Use a protractor to measure angle A, angle B, and angle C.
4. 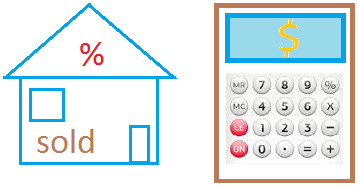 Use the sine rule to verify that it works. I did the same thing for the triangle I drew above and I have found the following measurements. As you can see, the answers are almost the same. If our measurements were perfect, they will be exactly the same. Use the triangle above and the law of sines to find the length of x and the length of y. 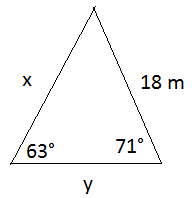 Before we can find y, we need to know the measure of the angle that is opposite to y. Call this angle n.